People really love Tetris, and I am not kidding, people really can’t get over that classic game, and the colorful bricks keep popping up in so many different forms, including actual home furniture design concepts or Tetris plates. Artists Diego Silvério and Helder Filipov have created a beautiful furniture design that uses the Tetris bricks we have all known to both love and hate. 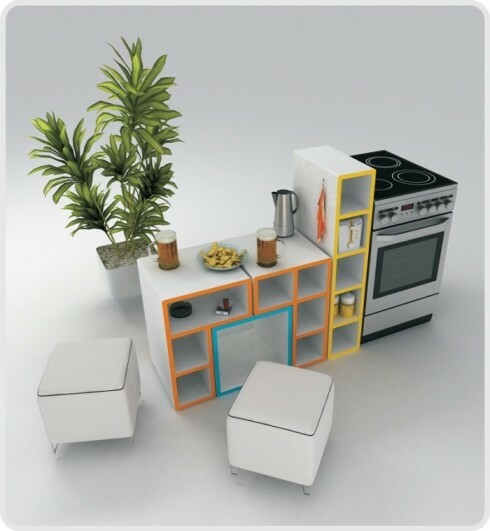 This cool concept is actually pretty practical if you take a minute; it utilizes the different shapes in order to provide great storage space in an efficient and colorful way. The different bricks combined show many different options and ways for gamers to also have a great looking room and profess their utmost love for the original Tetris game. Even though you are a gaming geek, it doesn’t mean you have to leave in a complete mess and not have some modern design furniture. Thanks so much for the images and heads up Diego Silvério, these are absolutely beautiful! 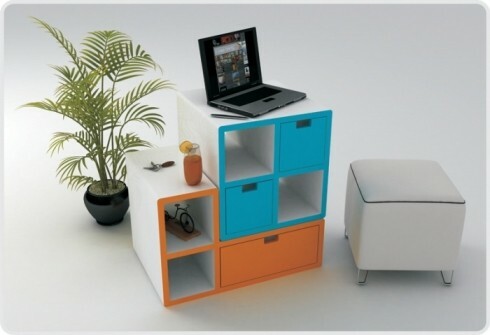 I really need this kind of furniture, how can I get in Cambodia?? 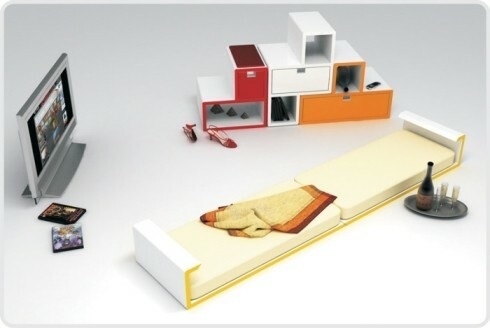 Pingback: Tetris Furniture: Time To Redecorate! Being a mad tetris fan, I absolutely loove the idea. I have to get them-now!! Thats brilliant. I personally dont like it when used for the kitchen, but other than that its brilliant! I was addicted by this game before and now with these furniture somehow provides the nostalgia. These are not tetris blocks. The Tetris blocks are al the possible shapes that can be made with 4 squares. But here the yellow block consists of 5 squares and the red block is only 3 squares. The idea is nice (but not new) but this one fails because it just aren’t the tetris shapes. I wish I could pick these up at IKEA. It’s too bad you can’t make a straight wall of them or they’ll dissappear.